BlackBerry has gone back to basics with the release of its Classic smartphone in Australia. Telstra is selling the QWERTY smartphone both online and in stores. The Classic is a throwback to the smartphones that once made BlackBerry popular. Distinguishing features include a 1:1 ratio screen, the traditional QWERTY keypad and BlackBerry’s enterprise-grade security. Releasing the smartphone is a defensive move for BlackBerry. The troubled smartphone company hopes its existing customer base will not change platforms and stick with the brand. The Classic smartphone has some modern tricks. It supports BlackBerry’s Blend; virtualisation software that makes it possible to use the smartphone’s texts, emails and calendar securely on a computer or tablet. Upgrades to the smartphone have been modest. The display is a 3.5-inch touchscreen that has a 720x720 resolution and a density of 291 pixels-per-inch. Powering the smartphone is a 1.5GHz dual-core CPU, with 2GB of RAM, 16GB of internal storage and the option of microSD memory. The smartphone runs BlackBerry’s economical and proprietary BB10 operating system. Supplementing the OS are applications from BlackBerry’s own store and from Amazon’s store. Tech-savvy users can, technically, download the installation files of Android apps (.apk) as they will also work on BB10. The 4G smartphone comes with an 8MP rear camera and supports single-band 802.11n Wi-Fi. 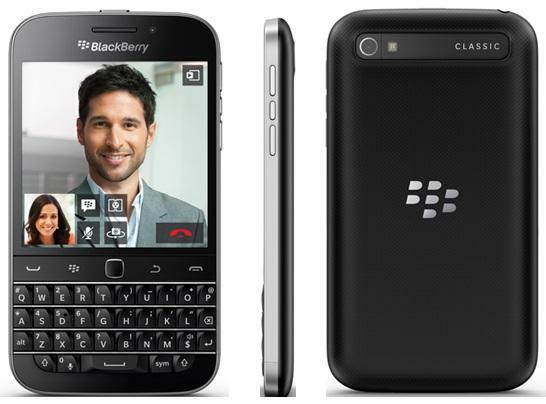 Telstra is selling the BlacBerry Classic as of today for $70 a month over 2 years, or as an outright purchase for $504.